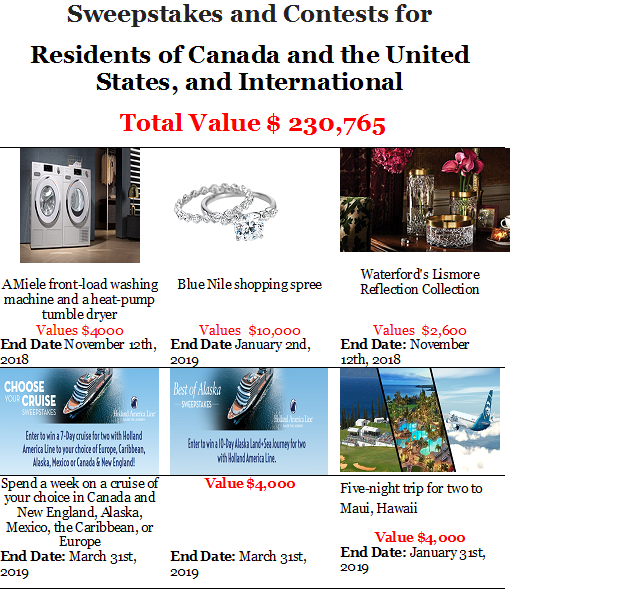 Are you looking for Sweepstakes? Then you've found the right place. This e-Book collects a $ 230,000 Sweepstakes for just $ 2 You do not have to find the sweepstakes ticket from any website or store. Buy this e-book for only $ 2, and then you can sweep the prize directly from the website or shop. Then sit back and wait for the reward through registered email. Best of all, all of these sweepstakes are free to enter and offer the chance to win fantastic prizes! Want to try it? Download this trial version.